Julia Kuhn takes a big swing. The senior received recognition for her academic pursuits by way of a postgraduate scholarship from the Big Ten. Softball senior Julia Kuhn and wrestling senior John Coukos each received $7,500 from the annual Big Ten postgraduate scholarship. The conference established the scholarship in 2012, with the first nominees announced in 2013. The Big Ten defers selection and specifics for nomination to the individual schools. This year, the scholarship awarded $15,000 to each of the 14 Big Ten institutions, which then distributed awards to 29 athletes representing 15 different sports. Big Ten communications intern Mary Kate Campbell said the basis for the scholarship is almost entirely academic. Student-athletes must maintain at least a 3.2 GPA, take on leadership positions and indicate that they plan to continue their education in a postgraduate degree program within three years of completing their undergraduate studies. Kuhn, a Weinberg senior studying human communications and French with an Integrated Marketing Communications certificate, shows her talents on and off the diamond. In addition to the postgraduate scholarship, she received the June S. Cordier Memorial Scholarship, Academic All-Big Ten Distinction, the Big Ten Distinguished Scholar title and was named an Academic All-American. 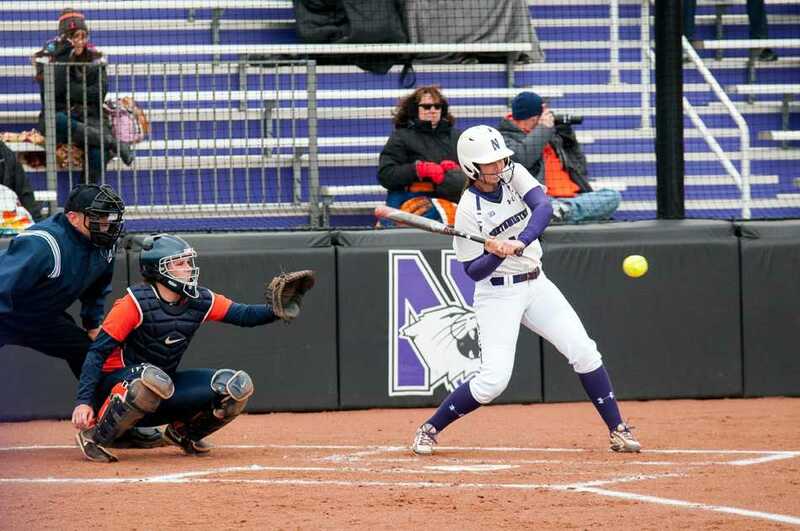 The New Jersey native also took the softball field by storm in her four years as a Wildcat, this season being her most successful, starting in all 45 games she appeared in and ending the year with a .323 batting average, 34 RBI and five home runs. Kuhn said she was one of three female finalists selected based on a 250-word written statement on her experience as a Cat. After submitting her resume and several letters of recommendation, Kuhn was chosen among the finalists for the scholarship. She will use the money toward pursuing a master’s degree in speech language pathology at New York University. Coukos, also a Weinberg senior, earned Academic All-Big Ten distinction all four years he competed at NU. The combination of doing the rigorous Integrated Science Program and his biology, chemistry and mathematics majors keeps him busy off the mat. He ended his collegiate career with 10 wins and 29 losses overall, his academic success outshining his athletic performance. Coukos will attend the Pritzker School of Medicine at the University of Chicago and plans to pursue an MD/PhD centered on studying neurodegenerative disorders.